We’ve all heard about history textbooks in public schools being rife with typographical errors and grammar mistakes. But that pales in comparison with historical myths that have been taught in primary schools as if they actually existed. Calling them ‘historical lies’ may be a bit too harsh, but I can’t think of any word to describe seemingly historical errors that have been blown out of proportion. Perhaps you still believe them. Or maybe your old elementary teacher still does. Either way, it’s time to separate myth from fact once and for all. 1. Ferdinand Magellan was the first person to circumnavigate the world. 2. Princess Urduja and the legendary kingdom of Tawalisi. 3. 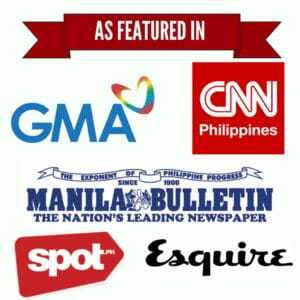 Fernando Poe Sr. served as a model for the U.P. Oblation. 4. The first blood compact was between Rajah Sikatuna and Miguel López de Legazpi. 5. Datu Puti and the legend of The Ten Bornean Datus. After conquering Malacca, Sumatra in 1511, Portuguese explorer Fernão de Magalhães (Anglicized as Ferdinand Magellan) once again reached Southeast Asia in 1521 in search of the Maluku (Spice Islands). And that made him the first person to travel around the world. Or so we thought. We all know that after intervening in the conflict between Raja Humabon and Lapu Lapu, Magellan was butchered to death by the latter and didn’t live to be the “first person to circumnavigate the world”. 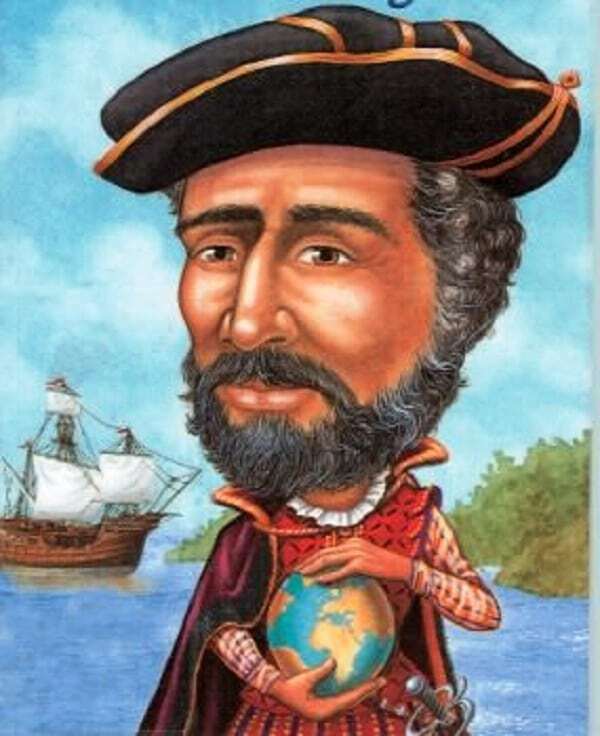 Now, if Magellan was not the first person to circumnavigate the world, who did? 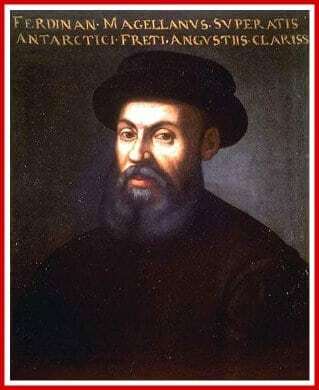 However, several historians argue that if Enrique, Magellan’s slave, originally came from Sumatra as what records show, then he would have already circumnavigated the world by the time the Portuguese fleet reached the Philippine shores. Magellan’s last will indicated that Enrique was bought from Malacca and reportedly spoke the Malay language, making him an invaluable part of Magellan’s journey to the Southeast. On the other hand, the expedition’s chronicler, Antonio Pigafetta, wrote that Enrique was actually a native of Sumatra. Another witness, Gines de Mafra, also proved that Enrique indeed spoke Malay to the Filipino islanders–a claim which led to a theory that the first person who circled the world could actually be a Filipino. However, it’s interesting to note that at that time, Malay was a common language of trade in most Southeast Asia, and not a dialect exclusive to the Philippines. After Magellan’s death, Enrique remained in the Philippines after a conflict between him and the new leaders of the voyage. Whether or not he returned to his hometown–which would only take roughly two months of island-hopping–is still unverified. But if he was able to return to Sumatra less than 15 months before Pigafetta and other expedition survivors reached Spain, then Enrique is undoubtedly the first person to travel around the world. Urduja (ca. 1350–1400 AD) is a legendary princess who first appeared in the book Rihlah (Travels) by Ibn Batuta (1304 – 1378), an Arab traveler who was also a contemporary of Marco Polo. According to his accounts, he reached the land of Tawalisi (present-day Pangasinan) after 71 days in the sea and while on his way to China. In this island kingdom, Ibn Batuta allegedly met a brave Amazon named Urduja who would only marry the man who could beat her in fistfights. Legend has it that the warrior princess later prepared a lavish banquet for Ibn Batuta and even gave him gifts of a lifetime which included silk, expensive spices, buffaloes, truckloads of rice and sheep among others. Aside from the lack of archaeological evidence to prove the existence of Urduja’s Shri-Visayan Empire, scholars also failed to discover any reference to Urduja in Spanish documents that chronicled the pre-Hispanic Philippines. In fact, Urduja never appeared in the Sucesos de las Islas Filipinas (1609) of Antonio de Morga, considered by many–Rizal included–as the most reliable source of pre-Hispanic accounts. The Oblation (or “Pahinungod” in Filipino) is a concrete statue that has become the iconic symbol of the University of the Philippines and the promise of its students to offer themselves to the country. Measuring 3.5 meters in height, the original Oblation statue was first conceived during Rafael Palma’s presidency. It is said that Palma commissioned National Artist Guillermo Tolentino, then a professor at the UP School of Fine Arts, to complete the project. Tolentino allegedly convinced the late actor Fernando Poe Sr., who was a UP student at that time, to model for the Oblation. 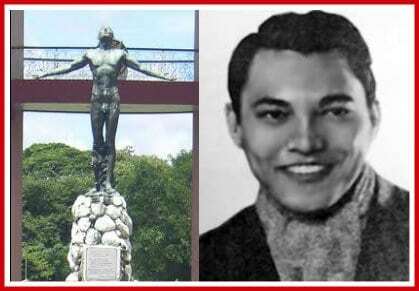 Soon, people started to believe that FPJ’s late father was indeed the man behind the University of the Philippines’ famous sculpture. University literature, specifically the book by the late UP Diliman College of Fine Arts Professor Rodolfo Paras-Perez, revealed that it was not Fernando Poe Sr. who inspired the Oblation. More surprising is the fact that not only one but two people actually modeled for the iconic statue: Anastacio Caedo, his student and assistant, and Virgilio Raymundo, his brother-in-law. To create the Oblation, Tolentino used Caedo’s physique and Raymundo’s proportion. 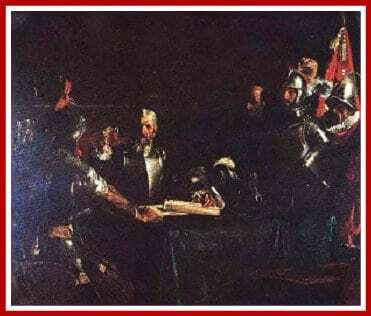 “El Pacto de Sangre” by Juan Luna (1886) shows the blood compact between Rajah Sikatuna of Bohol and Miguel López de Legazpi. The first treaty between the Philippines and another country happened on March 16, 1565, when Rajah Sikatuna made a blood compact (“Sanduguan”) with Miguel López de Legazpi in the presence of other conquistadors. In honor of this landmark event, The Order of Sikatuna was created in 1953 by Executive Order No. 571 signed by Pres. Elpidio Quirino. A monument in Tagbilaran City, Bohol named “The Sandugo Blood Compact Site” was also built to commemorate the said historic pact. Although largely believed as true, the blood compact between Miguel López de Legazpi and Rajah Sikatuna was not the first in the country. 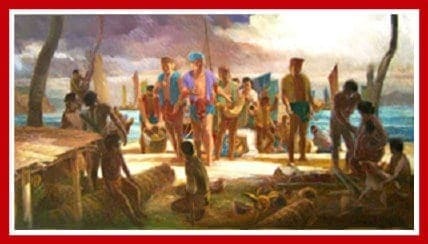 On March 28, 1521, Magellan and his men reached Limasawa (some historians claim they landed in Masao, Butuan), which was then governed by Rajah Kolambu. He had a brother named Rajah Siaui (or Rajah Siagu) of Butuan. The next day, March 29, Kolambu agreed to enter into a blood compact of friendship (casi-casi) with Magellan. This event happened 44 years before the sanduguan between Sikatuna and Miguel Lopez de Legazpi. According to a prehistoric document we now know as Maragtas, ten Bornean datus led by Datu Puti left their kingdom around 1250 A.D. to escape the wrath of their heartless ruler, Sultan Makatunaw. Legend has it that the ten Bornean datus landed in the island of Panay, then inhabited by the Atis governed by a king named Marikudo. 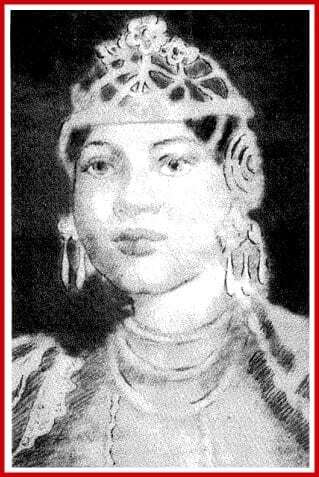 Although the natives initially suspected them of evil intention, the Bornean datus eventually bought the lowlands in exchange for a gold saduk or salakot (native hat) and a gold necklace for Queen Maningwantiwan. In the end, Datu Puti returned to Borneo while Datus Dumangsil and Balensusa settled with their families in the northern regions of Luzon, now known as Laguna and Bicol Peninsula. The other seven datus, on the other hand, remained in Panay and eventually divided the island into three regions. One of these datus was Datu Sumakwel who led the formation of a political organization called Confederation of Madjaas as well as a body of laws known as Maragtas. The Maragtas Code was previously known as the “oldest known written body of laws in the Philippines”, predating Code of Kalantiaw which was officially declared by the National Historical Commission as a hoax. In his doctoral dissertation at UST, William Henry Scott (the same person who disproved the Code of Kalantiaw) revealed that Maragtas is not a actual prehistoric source. Instead, it is just a book written by a historian in Panay named Pedro Monteclaro. worn-out manuscript from an old man. The book’s publisher, on the other hand, noted in 1907 that Maragtas should never be considered as facts. Constantino, R. & Mauricio, L. (1986). Renato Constantino and the Marcos watch: light selections. Karrel. Halili, M. (2004). Philippine History (pp. 9-12). Manila: Rex Book Store, Inc.
Philippine History Module-based Learning. (2002) (pp. 35-36). I was informed the initial inhabitants of what is now the Philippine Islands were known as Isi. They were 3 feet to 4 feet tall, were Black with straight Black hair. That it was not certain whether they were decendents of the Aborigines, or if the Aborigines decended from the Isi, yet by the migration of man the Aborigines should be decendents of the Isi. Over the centuries different warring countries invaded the islands, killing off the men & boys, then impregnating the females to carry on the conquering country’s nationality. One of the first nations was Mongolia, another was China. There were others before Spain conquered the islands, renaming the islands and the people. Because of the praticed tactics (conquering nations impregnating the women, passing on their genes), the Isi have evolved to the current Filipino. The foregoing was told to me by my father, who was told it by his father, and who said the foregoing was passed down verbally through the generations. My father was Ariston Edralin Ramos (born 1908 [died 2004] in San Esteban, Ilocos Sur). His father was Higino Ramos, and his father was Xisto Ramos, both from the same area.